Happy Monday all. Today marks just a week and half till Halloween so that means only one more printable to go after today. 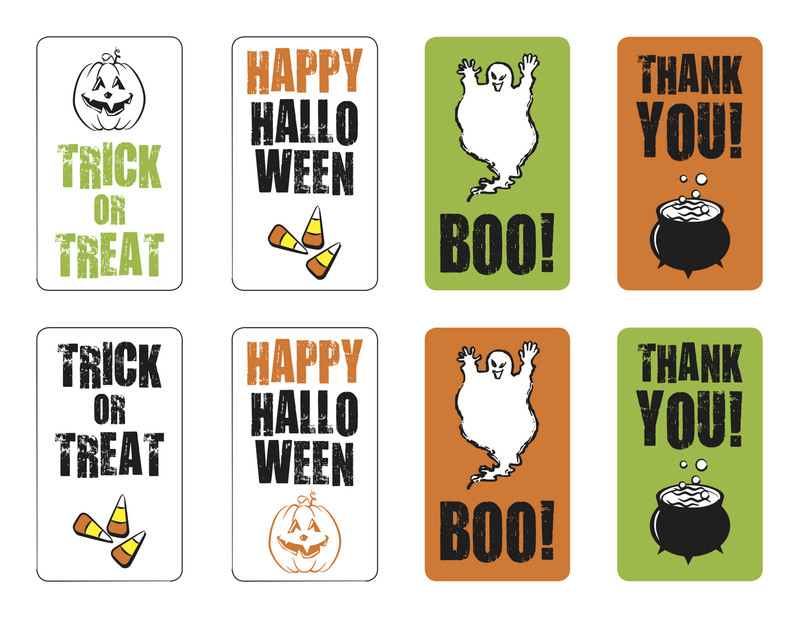 I have had so much fun designing this little package of Halloween inspired paper goods and I hope that you will have just as much using them! What party is complete without a favor and so today here is an adorable PDF of favor tags you can use to make a memorable take away for your party guests. Enjoy and Happy Halloween!